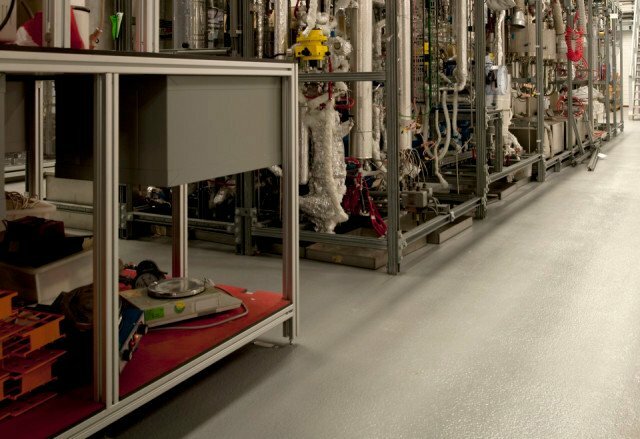 This industrial floor finishing system is extremely resistant to chemicals. Especially the harmful effects of (in)organic acids, salts, oils and fats are minimal. This type of flooring can cope with heavy traffic. The antiskid surface is suitable for use in wet conditions. And: seamless, durable, impermeable to fluids, low-maintenance and applied on site by own specialists. 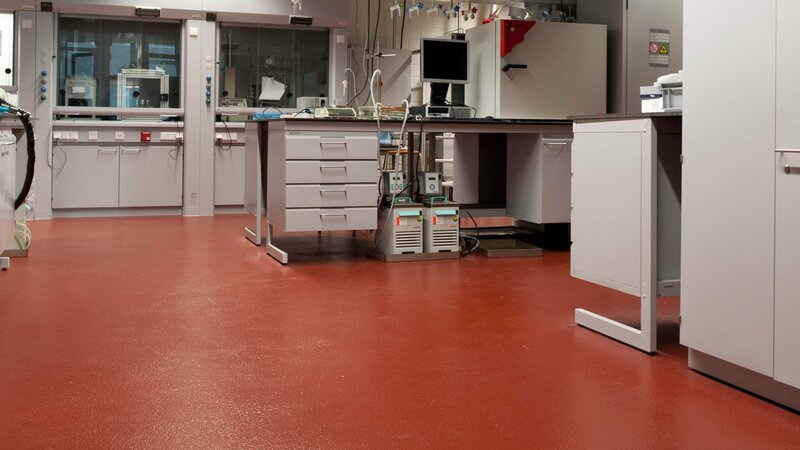 Bolidtop 910 CHR is a 3.5 mm thick floor finishing system based on three-component, high chemical resistance synthetic resins. Bolidtop 910 CHR has a terrazzo look and the antiskid surface makes it very suitable for wet and oily conditions. The Bolidtop 910 CHR is scratch-resistant and durable. 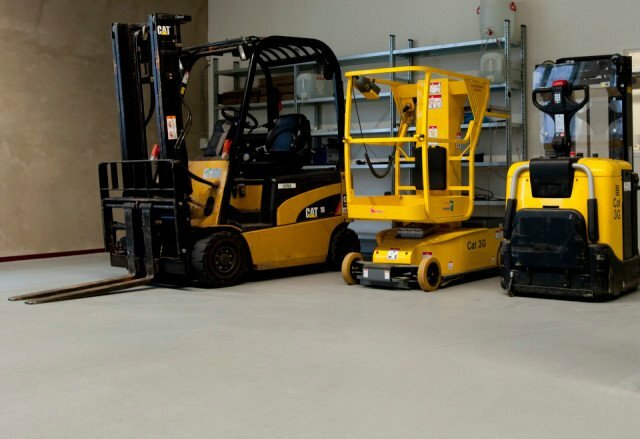 The system is suitable for forklift truck traffic. Bolidtop 910 CHR is very resistant to the most usual chemicals. Resistance to (in)organic acids is particularly good. Bolidtop 910 CHR is available in a limited number of colours. Bolidtop 910 CHR is resistant to the most usual loads. Bolidtop 910 CHR is resistant to the most usual chemicals and cleaning products. No electrical properties have been specified for Bolidtop 910 CHR.